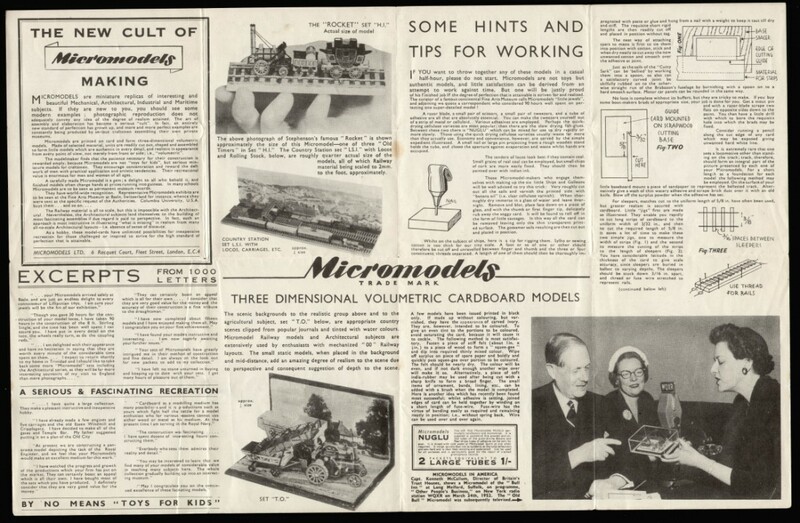 Description The format changes again for late 1952. 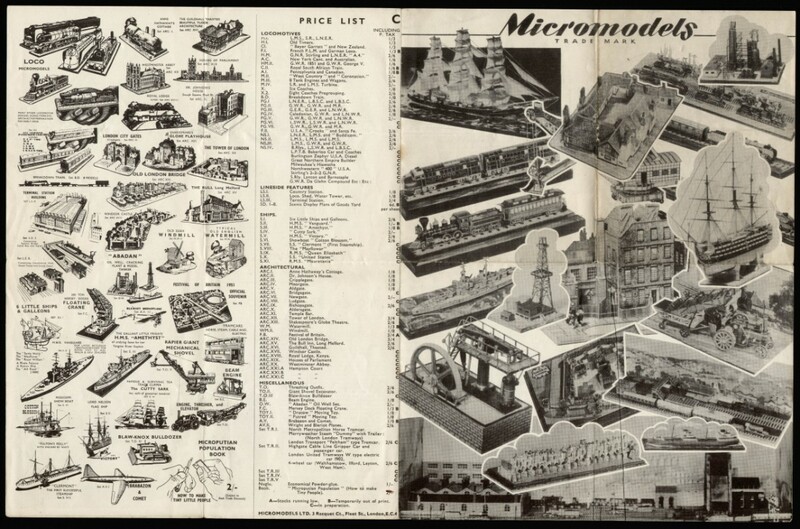 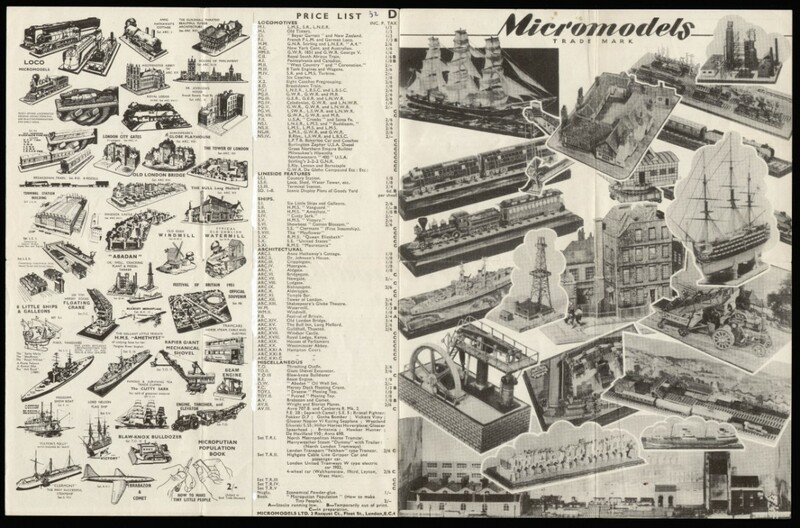 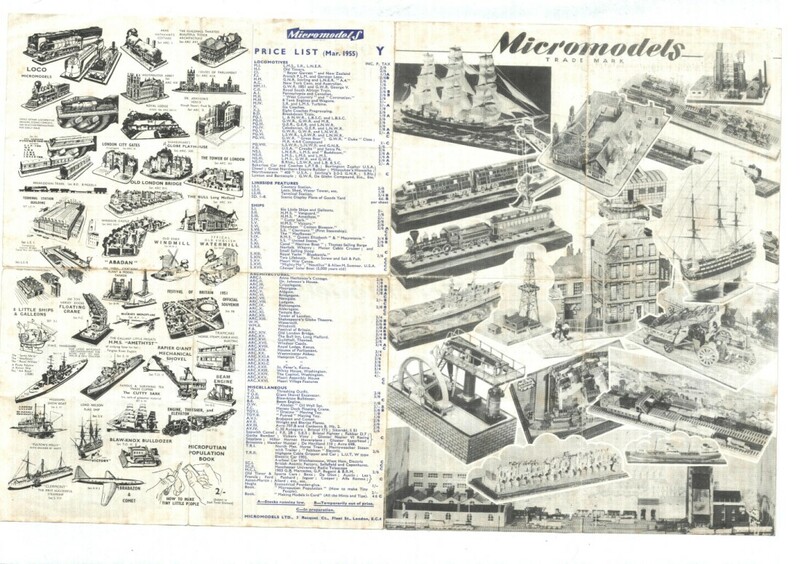 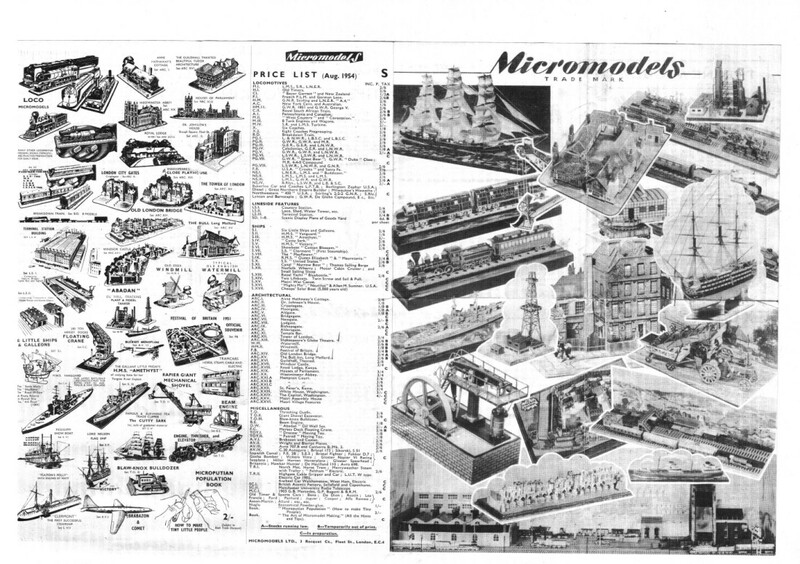 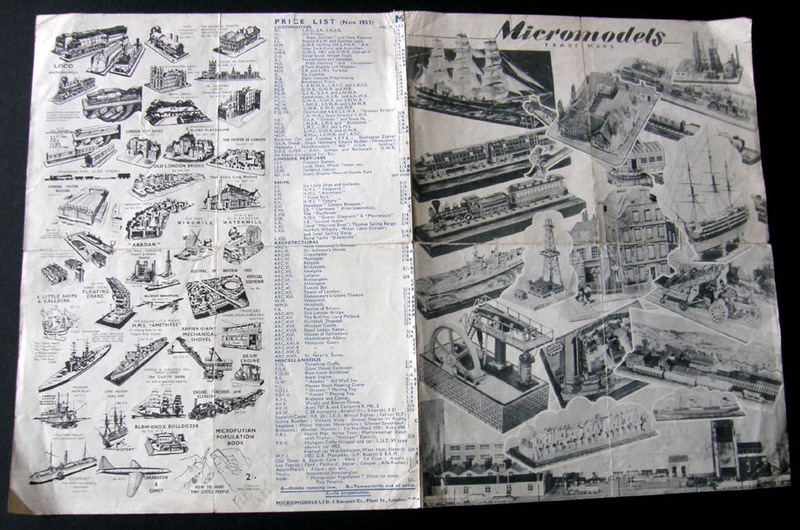 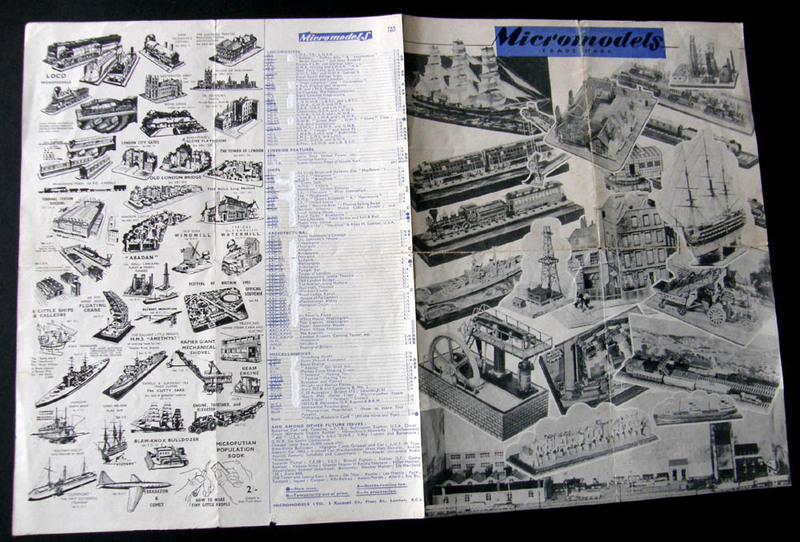 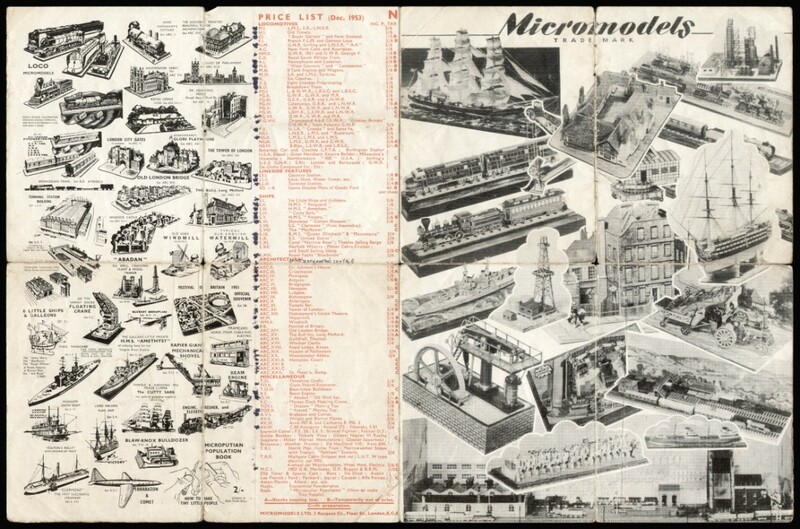 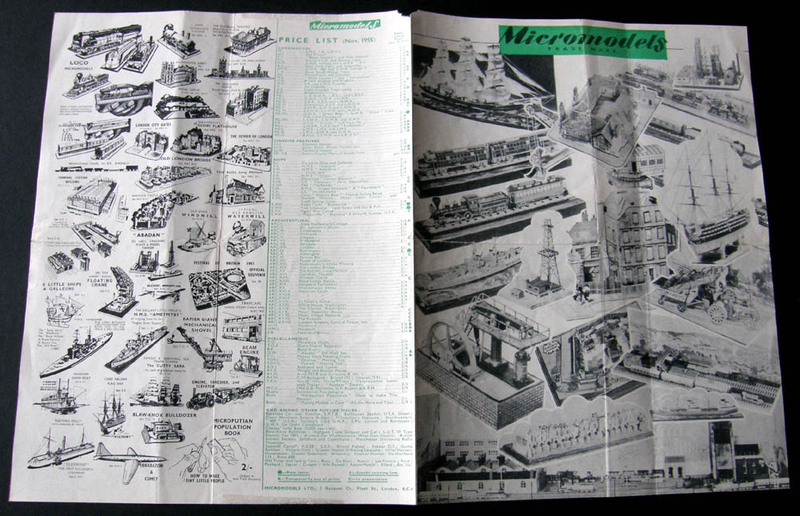 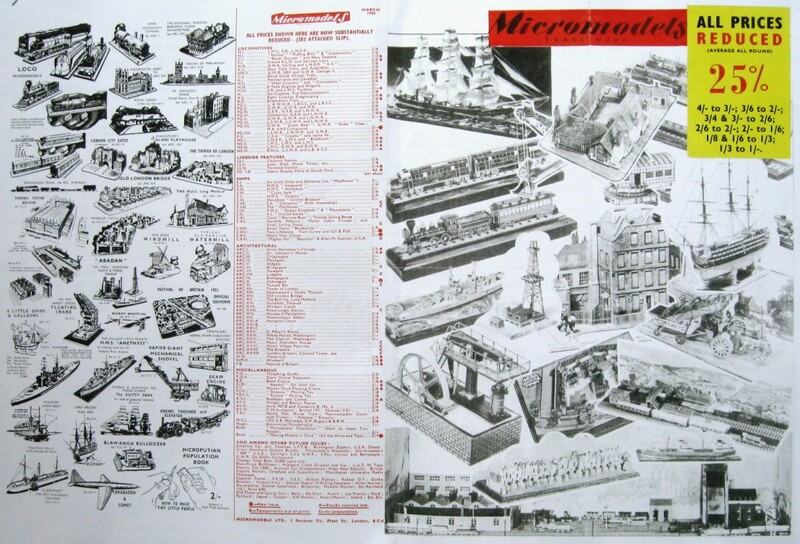 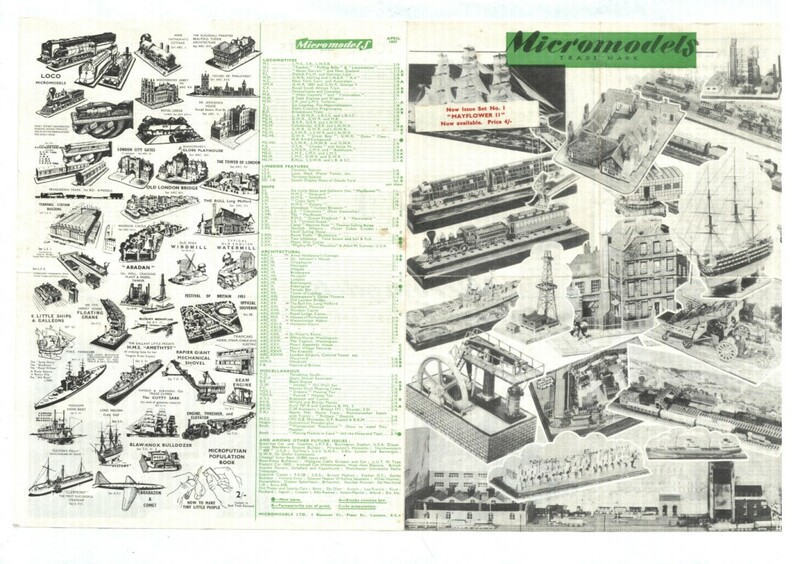 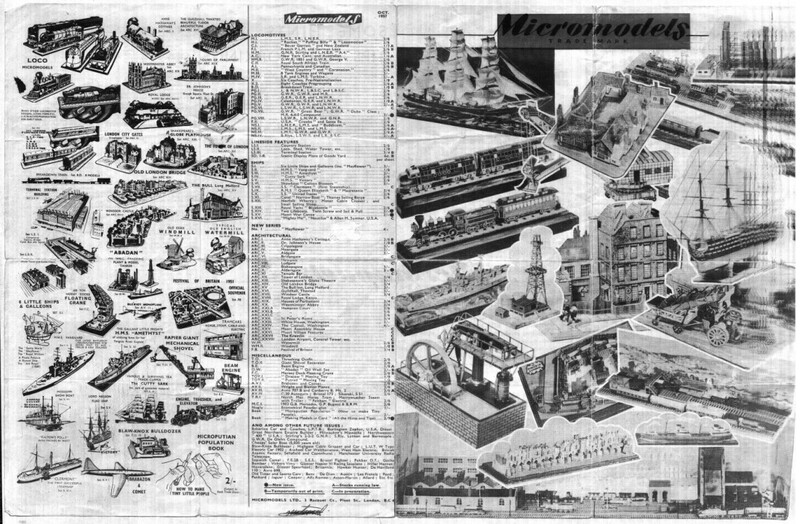 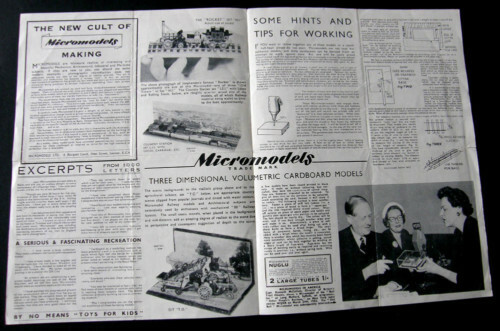 These are the first of the 1950’s catalogues with which most collectors are familiar. 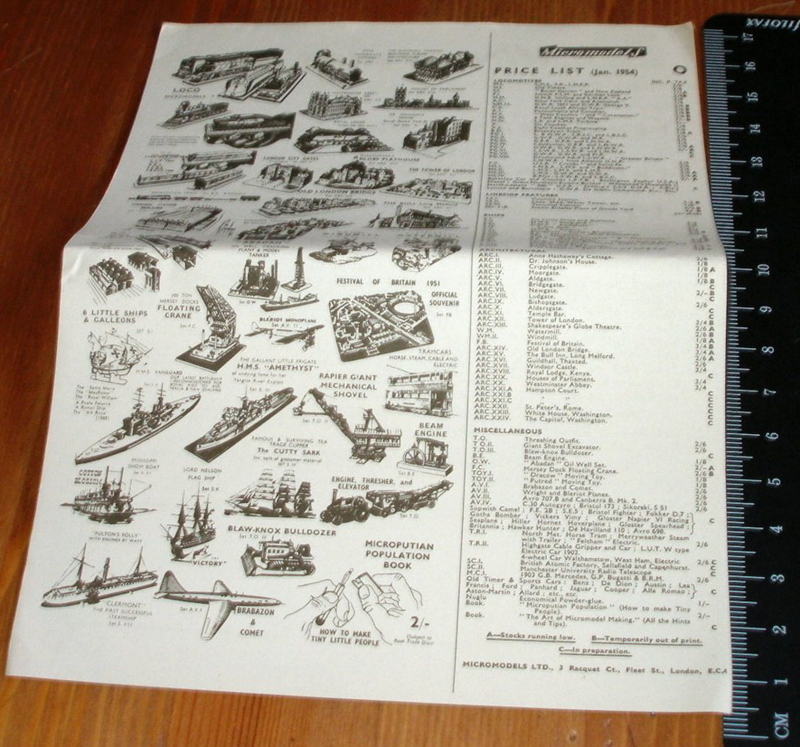 The format (39 x 25) and artwork now remains the same as 1952 right up to 1957. 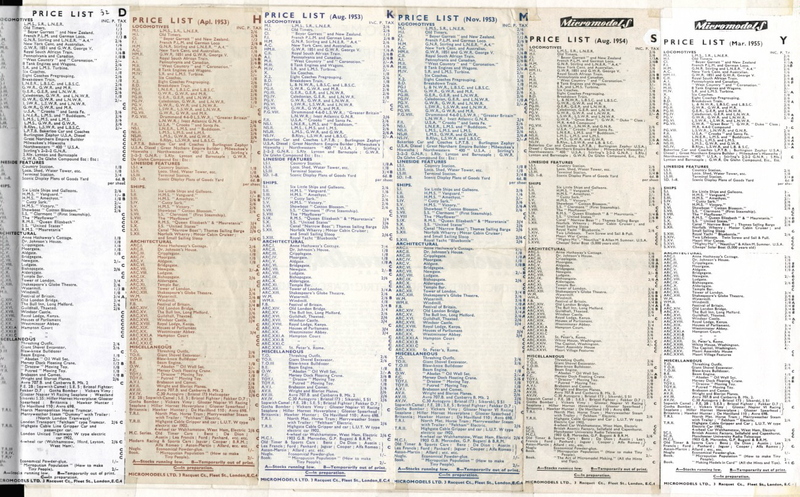 Only the price list column changes. 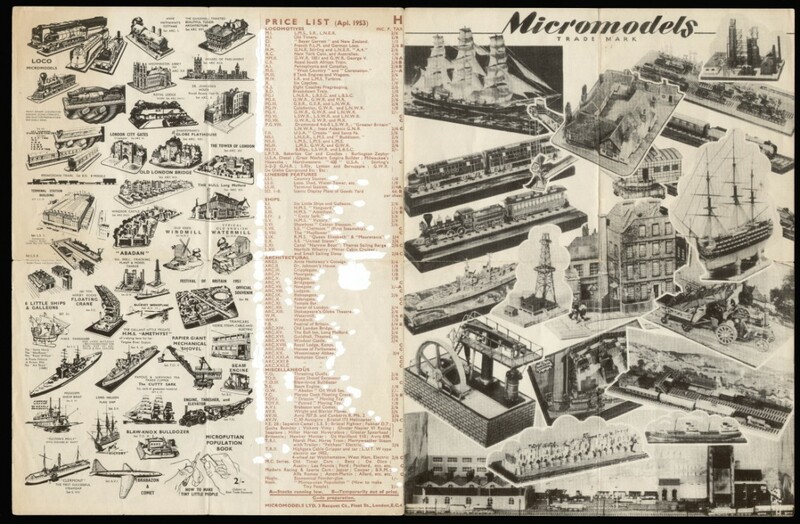 There is one exception known: Catalogue O is much smaller (17 x 13 cm), has a different front with only text and is not folded. 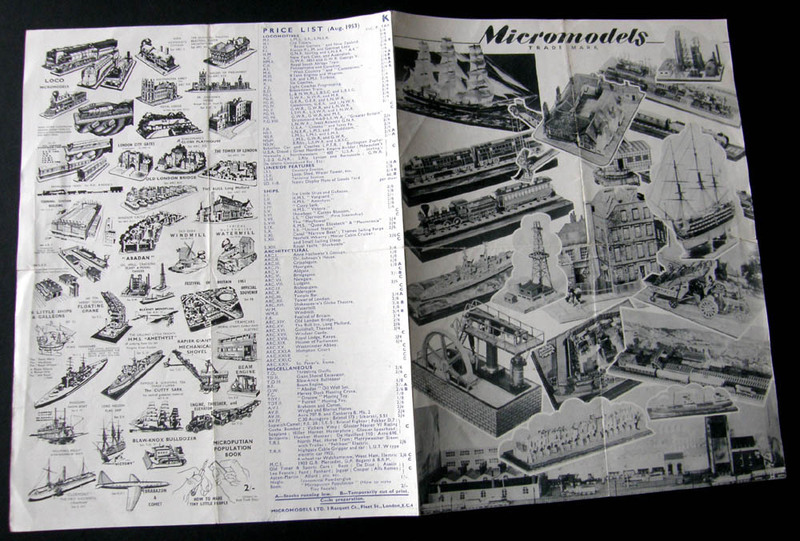 Most catalogues have a code at the top of the price list, from code C up to code Y. 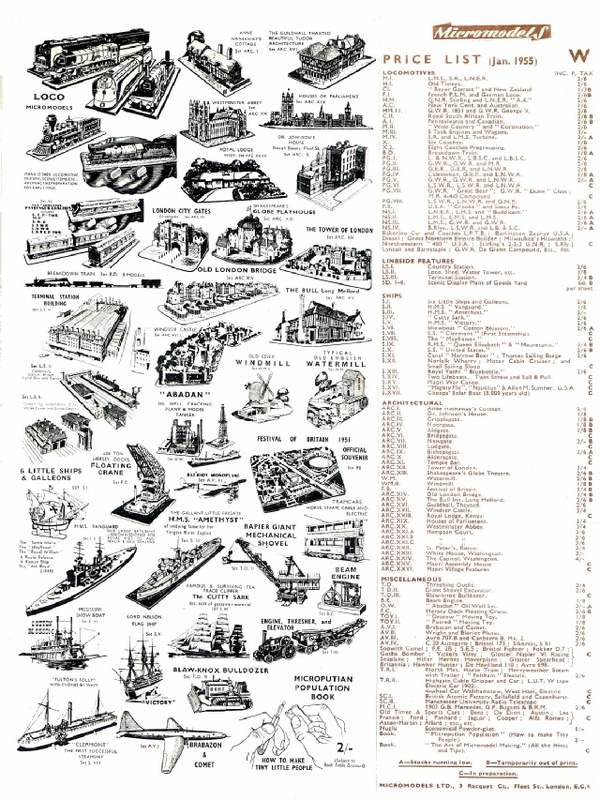 An interesting feature of catalogues C and D is that the Mauretania (in preparation), is given its own model number of S XI, while the Queen Elisabeth is S IX. 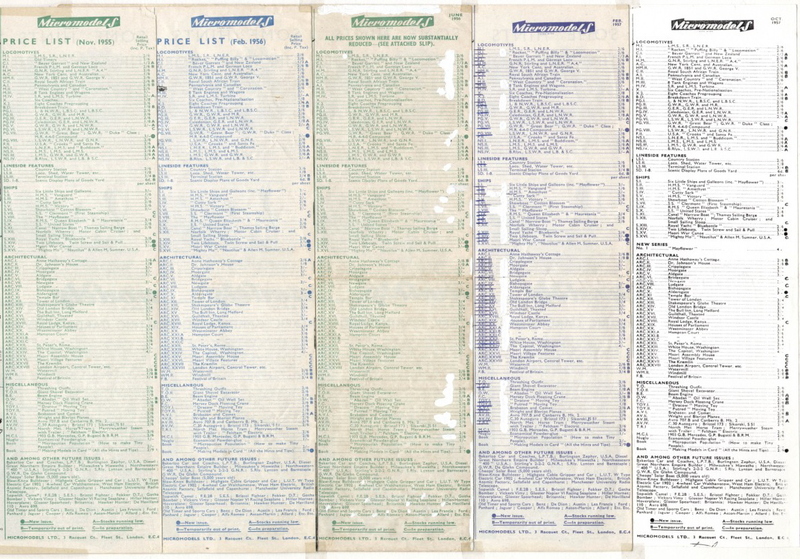 The final classic period catalogue is dated October 1957 and still carries the 3 Raquet Court address, although by this time the business has been transferred to Broadway Approvals (in 1956).